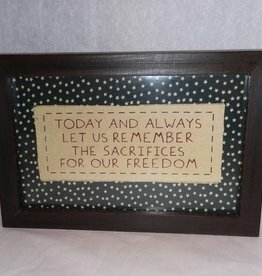 Stitchery celebrating our freedom. Today And Always Let Us Remember The Sacrifices For Our Freedom. 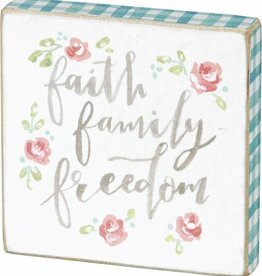 12" x 8"
Today & Always ...Freedom, 12" x 8"
Faith, Family, Freedom Magnet, 2.5X2.5"